Visit our website www.thevillageshop.net for purchases or more information. The Merck Family’s Old World Christmas brings you the finest selection of authentic hand-crafted glass ornaments of unsurpassed beauty, quality and value, Carefully hand-produced in limited quantities, each of these exclusive and dazzling collectibles is sure to be a favorite part of your Christmas celebration and enhance the beauty of the holidays. Pickle ornaments were special decorations for many families in Europe where the fir tree was decorated on Christmas Eve. The Pickle was the last ornament to be hung on it among the green boughs with the other ornaments. When the children were allowed to view the tree for the first time, they would begin gleefully searching for the Pickle ornament. 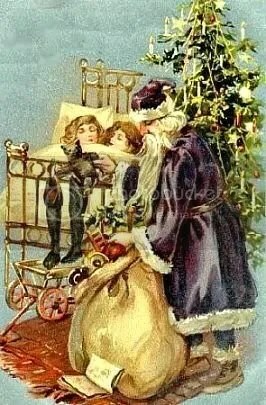 The children knew that whoever found that special ornament first would receive an extra little gift left by St. Nicholas for the most observant child. Start the tradition in your home this Christmas. Thank You for stopping in. Shop The Village Shop Here!!! thevillageshop on Check out my Slide Show! Check out my Slide Show!